Costain (international engineering and construction group) were awarded an eight year contract by the National Grid to carry out tunnelling under London for improved cabling. This tunnelling contract, worth approximately £200 million, will help meet increased energy flows across the city of London and it will also support increasing electricity demand, including the new Crossrail and the replacement of existing buried cables in London. 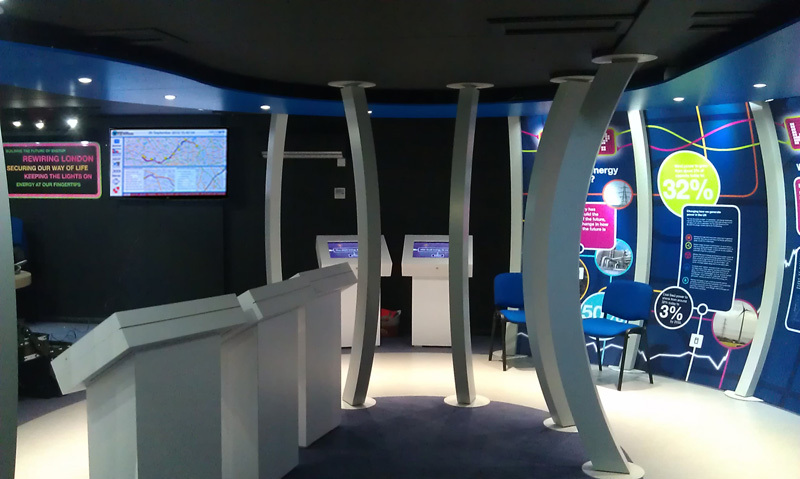 Costain wanted to show to staff within the National Grid project office how the project was progressing in real time and also be able to display project information in the Nation Grid Energy Education Centre. They approached Eclipse Digital Media with the idea and tasked us with implementing a real time solution that meets their needs. We designed and developed a digital signage content package that would show the drilling rigs working their way under London, in real time using data. The content package pulls in live data from the TIM (Tunnel Information Management) software which uses Google Maps to display it. 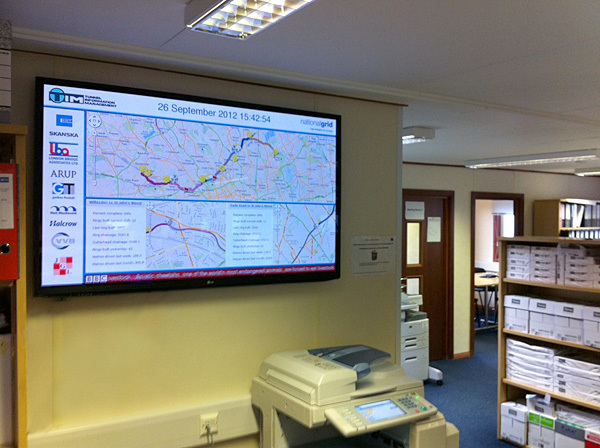 The real time data is displayed via AV displays within two National Grid / Costain project offices in London and one AV display mounted within the Energy Education Centre. The digital signage network runs using a main publisher unit with two subscribers mounted behind each screen to display the live drilling information.